I am interrupting my regular routine of baking to share with you a book I'm reading. I love to read, I love Paris, but mostly I love French food. You're surprised aren't you? Let's pretend I'm Oprah and you are part of my book club. I might be lacking global stardom, but I am as in love with this book as Oprah would be with her book club selection. 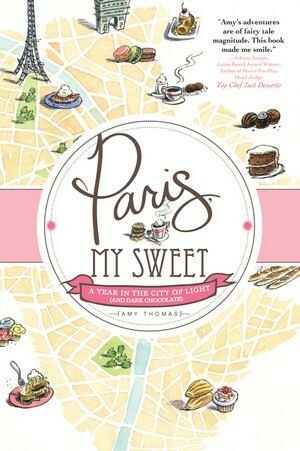 Enfin, the book I'm reading is Paris, My Sweet - A year in the city of light (and dark chocolate) by Amy Thomas. You can purchase the book and read an excerpt on Amazon US here, or Amazon UK here. Amy Thomas has written a memoir about her two sweet years of living and working in Paris. Living the fabulous - but safe - life in NYC, Amy was offered to write an ad copy for Louis Vuitton in Paris. Leaving her busy social life behind in Manhattan, Amy finds herself living in the heart of the city, enjoying the best pastries Paris has to offer, but also adjusting to living in France. I don't want to go too deep into the storylines, but every chapter is dedicated to a classic dessert, American and French, as Amy shares her adventures and comparisons between New York and Paris. Amy Thomas writes two blogs: God, I Love Paris and Dessert for Dinner. Please do take a look! While I have been somewhat disappointed by some "must-read" Francophile books, this one is hits a home-run in every aspect. Firstly, Amy's descriptions about the food she enjoyed is so vivid and accurate, it makes you want to jog or Vélib' (the public bike system in Paris) to the nearest bakery or chocolatier just to fill your rumbling stomach before reading the next chapter. Foodie or not. Although working for Louis Vuitton on the Champs-Elysées seems like the perfect life to many of us, Amy's transition to living in Paris did not go without its hiccups. The book isn't a tackily sweet tale of perfect Parisian stories, but rather a real observation of life in city. In the end, you'll fall in love with Paris, food and life with a passion like Amy has. I relished reading this book. It's easy for me to say that I "liked" a book when I'm offered to write a review about it, but luckily this book is right up my alley! An easy, fun read whether you love food, love Paris or New York, or want to mentally transport yourself to a different life and world. Most definitely one of my favorite Francophile and foodie books! 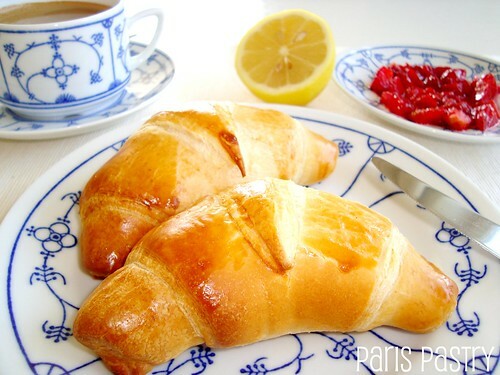 As for me, inspired by chapter 4 'Bonding over French Viennoiseries', I am sharing some of my French food tales. 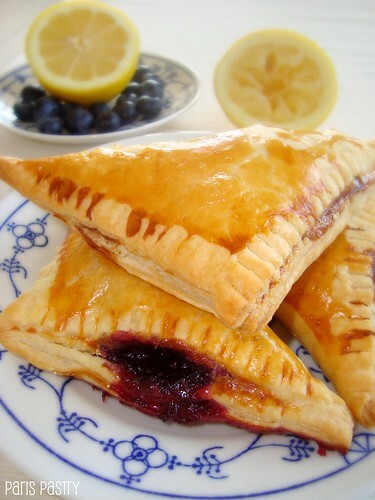 Viennoiseries are baked goods made from a yeast-leavened dough in a manner similar to bread or puff pastry, but with added ingredients (particularly eggs, butter, milk, cream and sugar) giving them a richer, sweeter character, approaching that of pastry. 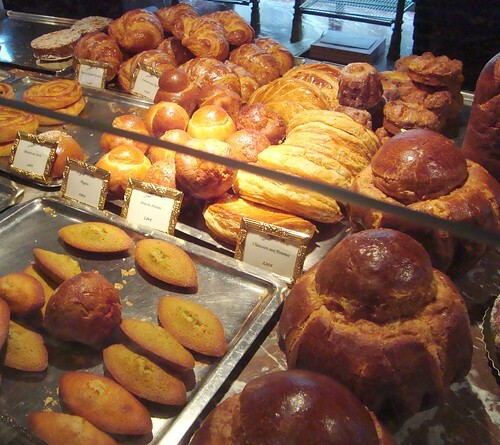 The viennoiserie counter at Ladurée - read my post about it here. 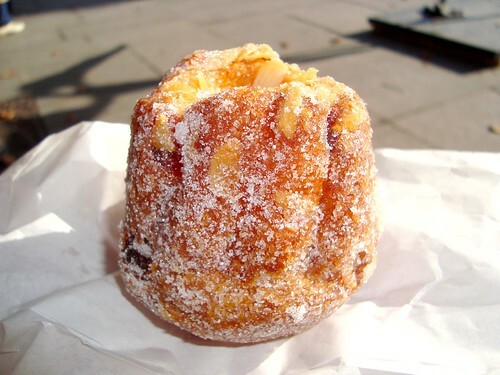 A sugary kugelhopf from Pierre Hermé - read it. 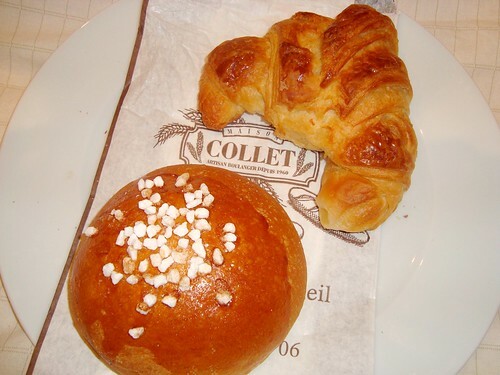 A perfect croissant beurre and a brioche au sucre from Maison Collet - read it. 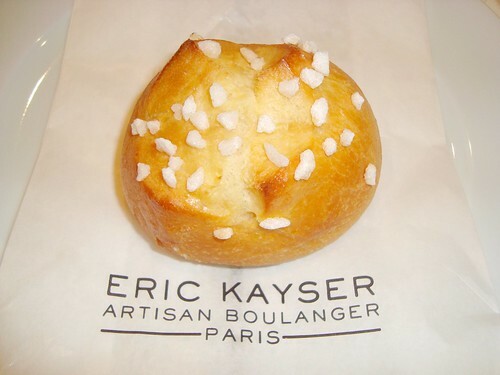 I got this brioche au sucre from famed boulanger Eric Kayser - read it. 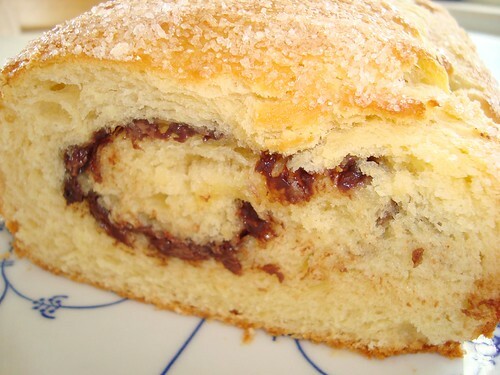 A wonderful pain aux raisins from one my favorite bakeries in Paris, Maison Collet - read it. A fantastic review of the book. I will take it by sure. And all the sweets... What can I say. Extraordinary. This was a very nice book review. I think the only thing I've made that's French is the pate choux (probably killed the name) and that was in my cattering class. 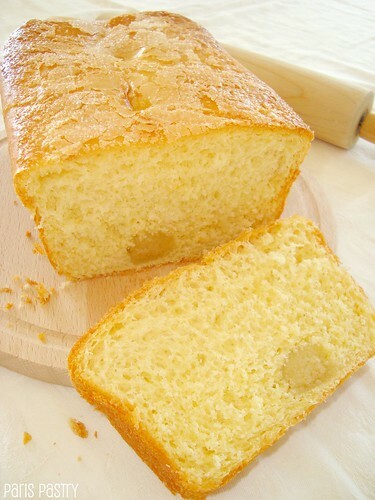 But now I really want to bake something French! Definitely my kind of book - thanks for the introduction and your great review! 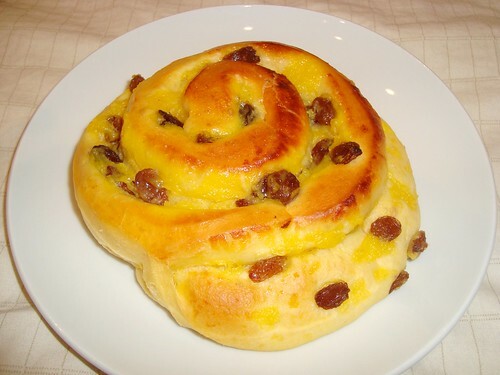 I'm addicted to pain aux raisins - delicious with a cappuccino! 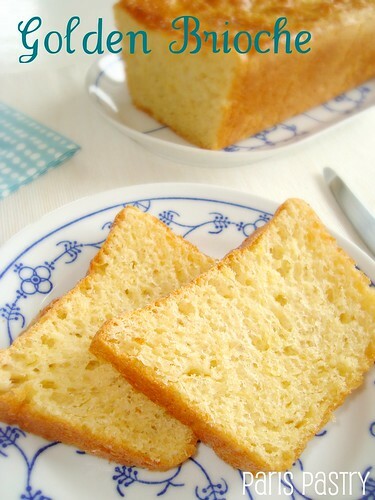 Just found your blog and I am in Love!... They say Paris has that effect on people! Yum doesn't seem adequate enough. But they all look yummy!